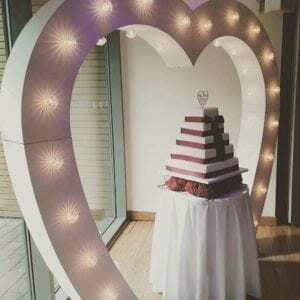 When you’re having a wedding reception its nice to be able to wow your guests with something spectacular and memorable. At Platinum Discos we have many items that do just that. 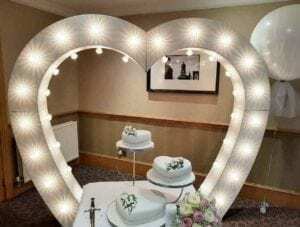 We’ve always been known for our spectacular disco lighting and crystal clear sound but we’ve added several new products to our arsenal that will really blow your guests away! 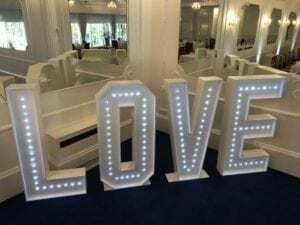 Our white LED dance floor is an absolute show stopper, it just looks absolutely amazing and provides a centre piece for your first dance and looks great in photographs. 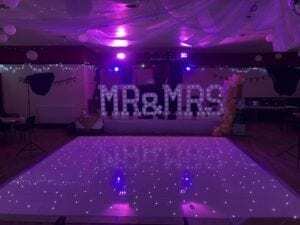 Here is a photograph below which shows the white LED dance floor at Crossgates British Legion Club for Kirsty and Gary’s wedding reception. Crossgates is just outside Dunfermline in Fife. 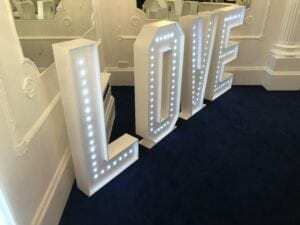 We also supplied our new “Mr & Mrs” giant letters at their wedding reception. White LED dance floor with lots of dancers. White Led floor with giant letters and disco. The one thing about giant letters that can be bad is that they can be too bright and light up the whole room. When we selected the ones we bought we opted for ones with small LEDs that were not too bright. 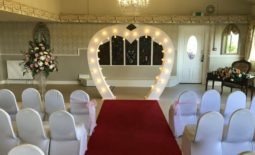 We are pleased to say that we kept ours on all night as they didn’t interfere with the ambiance created by our disco lighting. We have been at weddings where the other super bright ones have been used and people don’t like to dance as much if the dance floor is too bright. Dimming the house lights and creating the right atmosphere with your lighting is so important and most people don’t think of that. 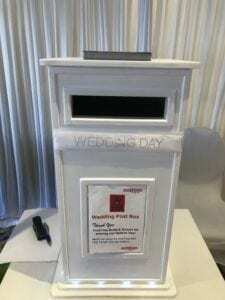 Our “LOVE” letters are beautiful and are battery powered so they can be paced anywhere in the room without having to run cables etc. They are not too bright and are extremely stable as they are attached to a heavy steel base plate. 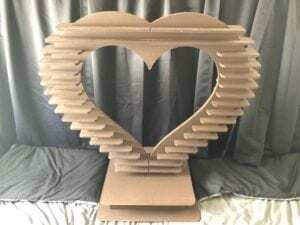 Another new product we have is our Ferrero Rocher heart which can have a table planner hung from the centre. It takes 150 Ferrero Rocher chocolates on each side so you could have a maximum of 300 chocolates! 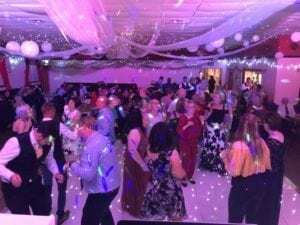 Here is the last dance form Kirsty and Gary’s wedding reception at Crossgates British Legion Club. Stunning lighting, beautiful LED dance floor and a great crowd ensured a fantastic night! 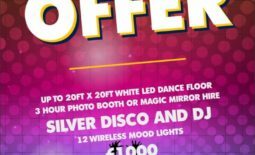 10 Reasons to Hire a Platinum Discos DJ	Photo booth and magic mirror hire Scotland.